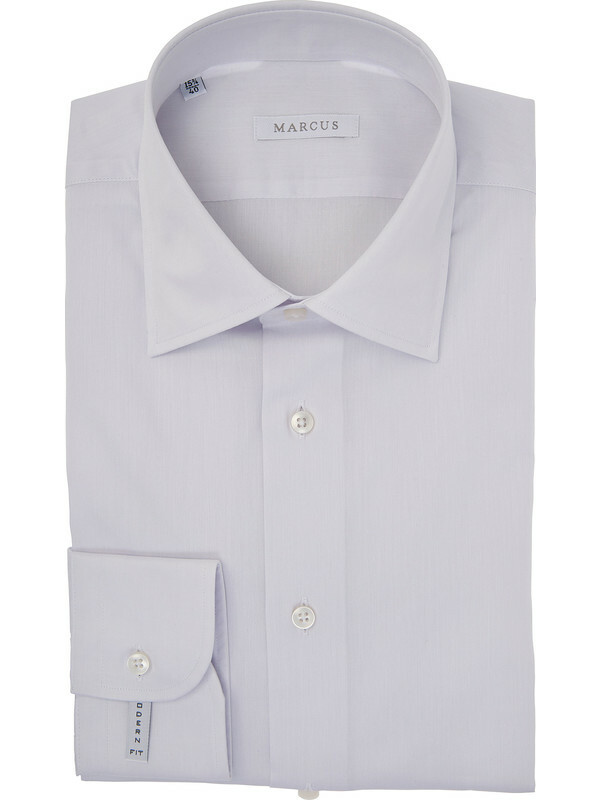 Ice colored Marcus Shirt, Modern fit. 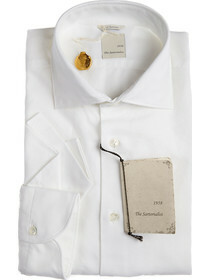 This men's garment is a very classic shirt with classic collar. 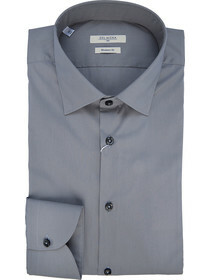 Its color is a light gray, that can be defined as ice, which gives the shirt a touch of sophistication. This shirt can be worn every day at work or during freetime but, with the right combinations, it can easily become a stylish shirt to wear also on special occasions. 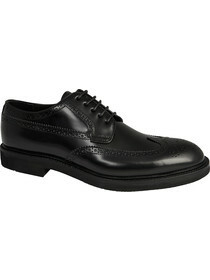 The cut of this shirt with pleats on the back makes it a little close to the body but not as much as a Slim fit shirt.